Every vernal equinox Pagosa Springs hosts a trifecta of festivals to cap off the summer season and welcome in fall. They’ll all organized around the vivid Colorfest Balloon Rally, which returns for its 33rd year. This year’s hot air balloon festival floats off from Friday to Sunday, September 20th to 22nd, 2019. Held annually since 1986, it’s sponsored by the Pagosa Area Chamber of Commerce. It’s an easy reason to plan a September trip to Archuleta County. 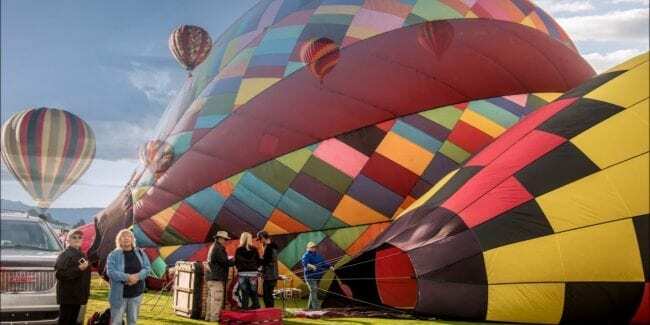 The Colorfest Balloon Rally combines a wine festival, beer festival and hot air balloon show all in one wild west Pagosa weekend. 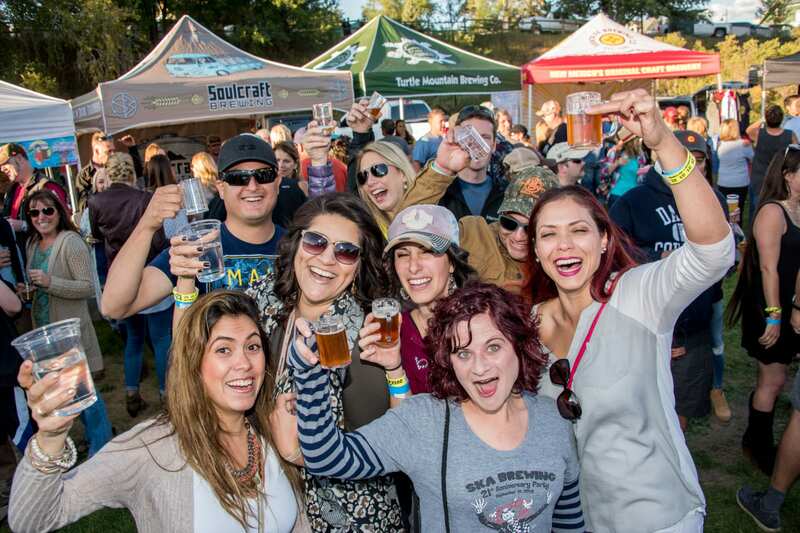 Both the Passport to Pagosa and Bands & Brews festivals are known to sell out, so book early. Passport to Pagosa Wine and Food Festival – Hosted Friday evening from 6 to 9pm, this event allows you to taste international wine, while enjoying delicious local food. Area restaurants battle for the Golden Whisk Awards, as voted by the guests. It’s open to those 21 and over. Bands & Brews Festival – Kick off your Saturday evening from 4pm to 8pm with music and craft beer. Both attendees and brewers vote for their top breweries from around Colorado and Northern New Mexico. The event is held in the Town Park Athletic Field. Families are welcome as there will also be plenty of local cuisine and kids activities. Once the sun sets the hot air balloon glow occurs. Mass Balloon Ascension – Saturday and Sunday event held around 8am. More than 40 balloon float off together, Saturday over downtown, and Sunday over Pagosa Lakes by the golf course. Breakfast With Balloons – Combine the above Saturday morning Mass Balloon Ascension over the San Juan River, with a gourmet breakfast, complete with mimosas and live tunes. It occurs form 7:30 to 9:30am at the GGP amphitheater in Centennial Park. 5K Color Run/Walk – This colorful “race” coincides with Saturday morning’s hot air balloon launch. The 5K is walk, run, skip or dance, as it’s untimed and uncompetitive. Invite the whole family for this fun run. 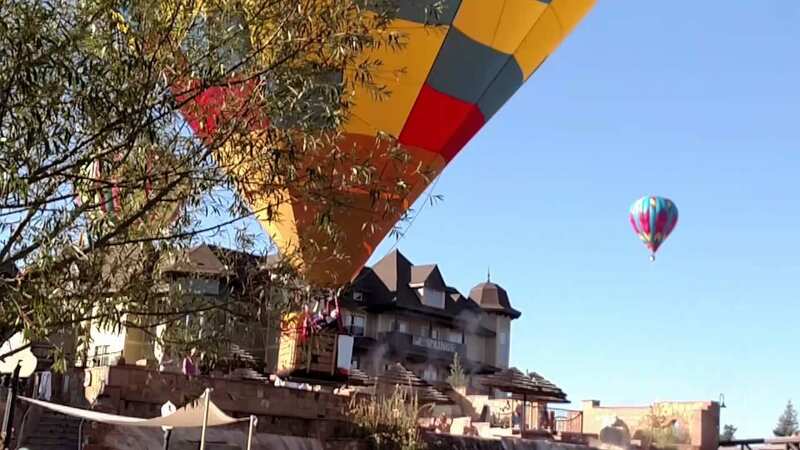 Hot Air Balloon launches off in Pagosa Springs.